A five round Swiss was played, with three games on Saturday. 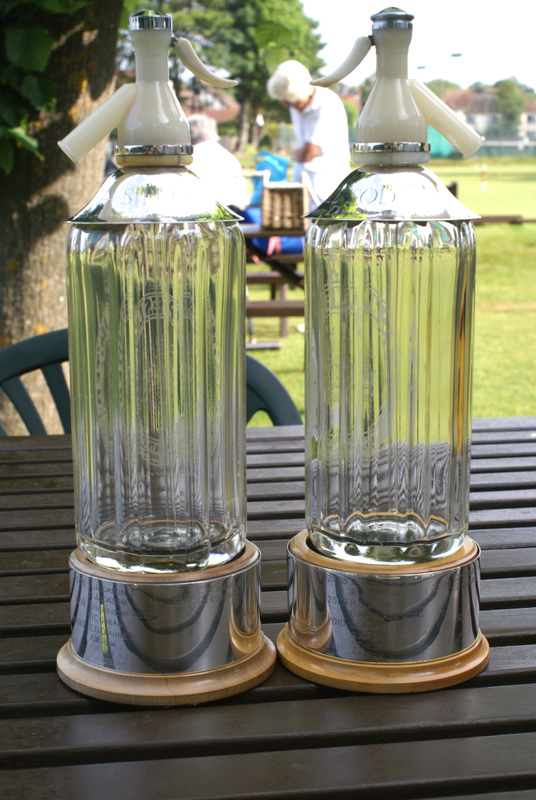 The holders, Colin & Georgeen Hemmings, led the field overnight with three wins. 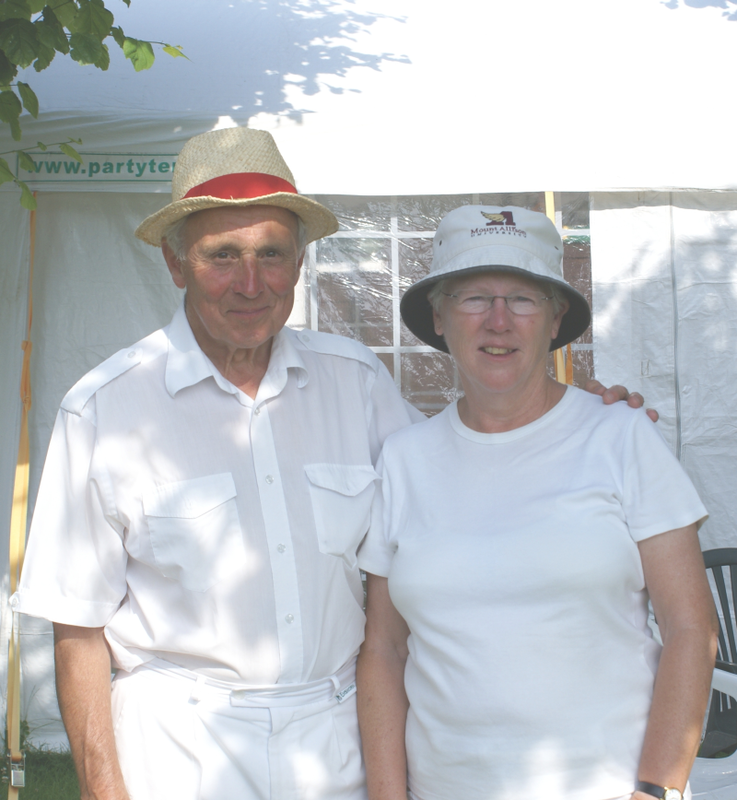 Richard and Pat Jackson were in an unaccustomed position at the bottom of the table. Nevertheless, Sunday morning saw a comprehensive win over the leaders by Janet Overell and Margaret Hampson. 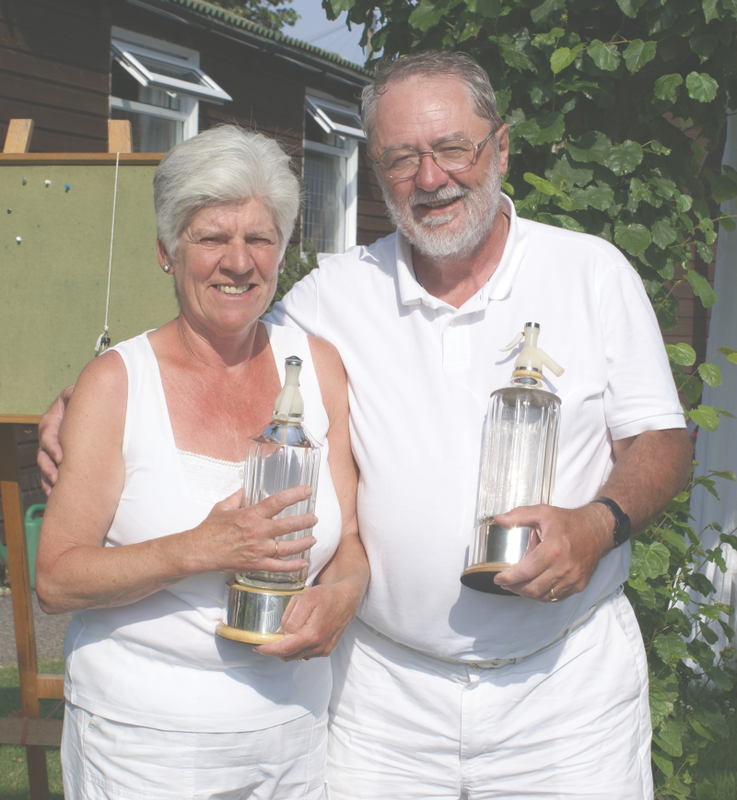 Meanwhile, the hastily assembled pairing of Liz Farrow and Keith Slatter (14 bisques) emerged to face the holders (3.5) in the final round. The underdogs went well ahead but, with bisques all spent, were just overhauled as the timer ran down. Elizabeth Castell contributed a wonderful Porter Cake for tea, after which she presented the Castell Soda Siphons to Colin & Georgeen. Sixteen players had entered, with handicaps from -1 to 16. Five pairs had Southwick affiliation of some sort, the others from Colchester (2) and Purley Bury/Surbiton. The hoops had been moved and reset in the preceding week, and were firm without rabbit runs, but somewhat unforgiving. As a result, scoring was slow, with 14 of 20 games going to the 3 hour time limit. The modified tournament regulations resulted in five handicaps (for the pair) from 1.5 to 6, and three from 9 to 14. The closeness of most games and distribution of handicaps in the final results suggest that the modified regulation is along the right lines but will, no doubt, be fine-tuned as experience is gained.